Real estate and mortgage software provider Altisource Portfolio Solutions S.A. has added a short-sale option for servicers and buyers to its online auction platform, Hubzu Real Estate Marketplace. The short-sale program appears designed partly to help agents and brokers who have listed on behalf of individuals, reflecting the site’s fresh focus on non-REO properties. Previously, the site listed only lender-owned REO properties. But in January, Hubzu announced that it would open up its service to licensed brokers and agents and begin carrying non-REO listings. In January, 125,000 of the site’s 285,000 total registered users were licensed brokers and agents, even though they could not list properties on the site, Hubzu General Manager Scott Wielar previously told Inman News. “Short sales can be quite frustrating for both sellers and buyers, as the existing process is complicated and often forces servicers to make quick decisions based on limited information,” said Joseph Davila, president of Altisource Mortgage Services, in a statement. The program offers an opportunity for servicers considering a short sale to leverage Hubzu’s buyer traffic for marketing purposes, the company said. 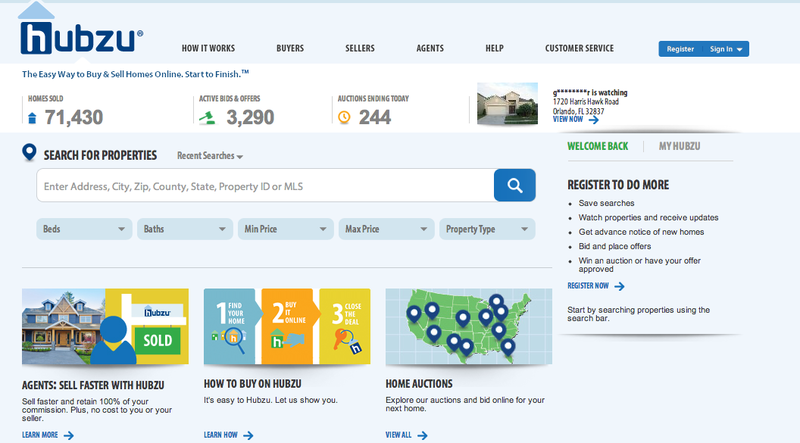 By publishing pending offers and competing bids, as well as exposing short-sale properties to an audience that generates more than 4 million site visits a month, Hubzu’s new program will help attract competitive offers, and keep agents, buyers and servicers apprised of a listing’s status, Altisource said. The program also includes a suite of optional services including a call center, appraisal, title insurance, escrow and settlement, Altisource said. Each property on Hubzu receives an average of nine bids, Wielar told Inman News in January. Properties can also sell without bidding. If they are listed with an “own it now” price, a buyer can move a sale forward if they like the price. Last fall, Hubzu completed a name change from “GoHoming.com” and announced plans to expand into non-REO properties. Have you listed a property on Hubzu? Tell us about your experience in the comments section below.